I normally answer messages within a few hours, so if you have any questions please feel free to drop a line. I am in the Eastern Standard Time, so if it is after 11pm I may not answer until morning. My apologies in advance. I just love my Etsy store and my buyers, especially when they become friends. Follow me on Facebook, Twitter, and Instagram! Simply gorgeous! Selling/maker was good at working with me, and producing a one-of-a-kind fan for me. Highly recommend her!!! Can't say enough good things about this woman -- she made me the perfect items! Again, very good at listening to what I wanted, and sending me such a beautiful rattle. Full of good magic! Thank you Davonna!!! So I use this hand during every fair I Vend at. If you have seen it before, it was a peachy, pinkish, veiny looking thing. It was quite suggestive looking. A friend is going to paint henna on it with acrylic paint to make it look better. I’m so excited! My beautiful swamp. The pic does not do it justice. It’s my meditation spot and the fount of my creativity. Side 2 of my herb garden. Look at all that sage!! My little herb garden. It’s not much now but next year I will be able to use much more of my own stuff to create with. Art & Craft Street Fair - first big outdoor fair of 2018. Made me realize how much I need to reconfigure my set up. 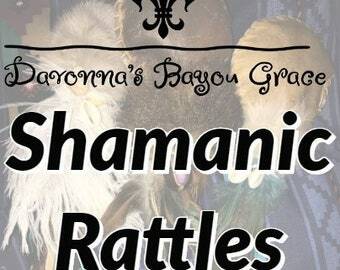 With many years of experience, Davonna's Bayou Grace has been carefully handcrafting her magically good pieces with a special Bayou touch. Thank you for stopping by. I appreciate you so much. I would offer you some tea, like a proper lady but you are there and I am here. In person, there would definitely be tea. It is just my thing. Sweetener is optional. 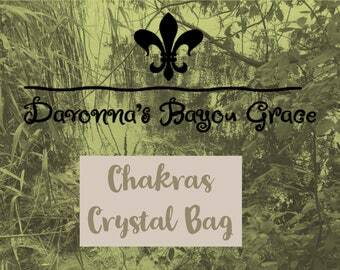 I have been creating metaphysical items for many years, but the Davonna's Bayou Grace name came about in early 2017. I needed a name that paid homage to my roots, as well as honored my daughter. She is the reason I do everything. I was born on a what was a few hundred acres of swamp land, but now is less than an acre. I now own the house I was born in and that home has gave birth to every ounce of creativity in my DNA. I gives me great joy to be in such a beautifully creative space on Etsy. It has challenged me in ways I never imagined. If ever there was a site that pushes you to not only create more, but to display and promote better, Etsy is it. I have been a part of the metaphysical and magical community for well over 10 years. I have always created things mindfully as to put the right energy into every project. When I can't out my whole heart into something, I know that Spirit has not blessed this path for me. That doesn't mean I give up, I just know it needs to be organized differently in order to be successful. Much like an Etsy store. With a majority of my items, including my candles, I use music and trance to create and enhance their magic. So if my items seem to "sing" to you, you'll know why. Nothing is created without a musical selection that fits the theme, even if it is instrumental. You can go a long way with some Jazz. Are there chemicals in your items? For my oils, candles, incenses and any other natural product - there are NO chemicals used. I use essential oils, herbs, and as much naturally occurring items as possible. If there is something strange in an item, I will make sure you are aware. Any questions, feel free to contact me please. Are your items (prayer feathers, hide for rattles, herbs) harvested ethically? That answer is an emphatic YES!!! I am mindful of all the items I work with. Any items that come from a former living being is mindfully and ethically harvested. Deer hides are prepared during hunting season by a family member. We also have a small family farm where there are cows. The family has cows and the hides are prepared at the proper time for the animal. Herbs are harvested mindfully, meaning I will not take herbs from an area where it looks like the supply is worn out and depleted. YES!! I welcome custom orders. Any special requests, feel free to message me with what you are looking for. I work very hard to make all my buyers happy. That is in the works. As of right now, you can connect with me through my Etsy store. I am also available on Facebook, Instagram, Twitter, Snapchat and an upcoming YouTube Channel. I also vend at fairs in my area. Where I will be next is on my facebook page. Even though a majority of my items are all natural, it goes without saying that some items should not be ingested. Hot Foot Powder has spicy chemicals that may not be toxic, but it would be rather uncomfortable to eat them. My fizzy bath salts are all natural but I do not recommend eating those. I cannot imagine either would be even remotely appetizing. I live in Michigan. I spend a great deal of my time creating and serving the Flint area, but I am also a member of the metaphysical and magical community in Houghton Lake and the Detroit Area. In a case by case scenario. I do my best to describe items as carefully as possible. If anything is unclear, I am available through message. I answer fairly quickly except for anything happening after 11PM EST. For any messages happening after 11PM, I will answer first thing in the morning. I am 1/4 Blackfoot Cherokee, along with Irish and Scottish. I come from a line of medicine women on one side of the family and Scottish Witches on the other. Witchcraft has been a part of my existence since I was very young. My grandmother had all sorts of books in her room that I was not supposed to touch but always ended up with. I was trained in conjure and rootwork. I am trained as a Shaman, as well as working on my 3rd Degree High Priestess. I have recently begun my PhD in Metaphysics.